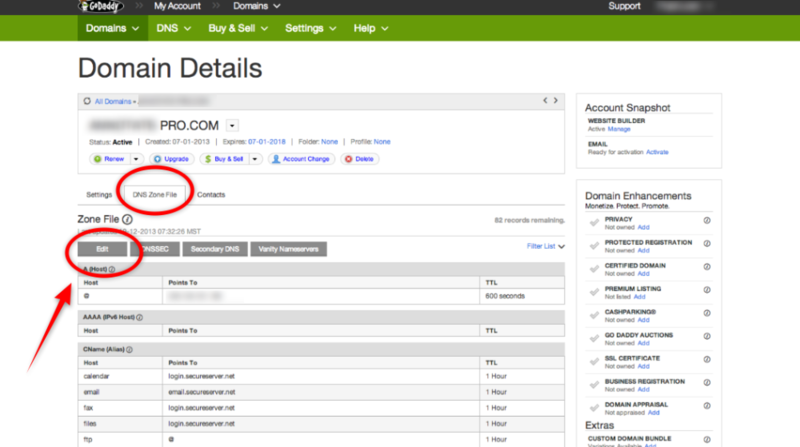 This article provides information to map your Domain registered with GoDaddy.com with your WebsitePro Project. 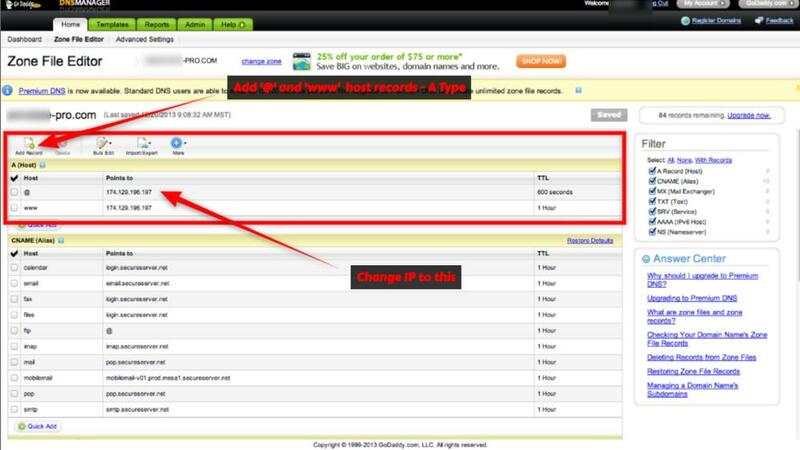 STEP 2: In the Domain Details Page, select "DNS Zones" tab and click 'Edit' to change the zone file. STEP 3: In the zone file editor, make sure there are 2 'A' record types as shown in the pic below. Map '@' and 'www' host records to this IP Address: 174.129.196.197 . And that's it save the changes and wait for a few minutes. 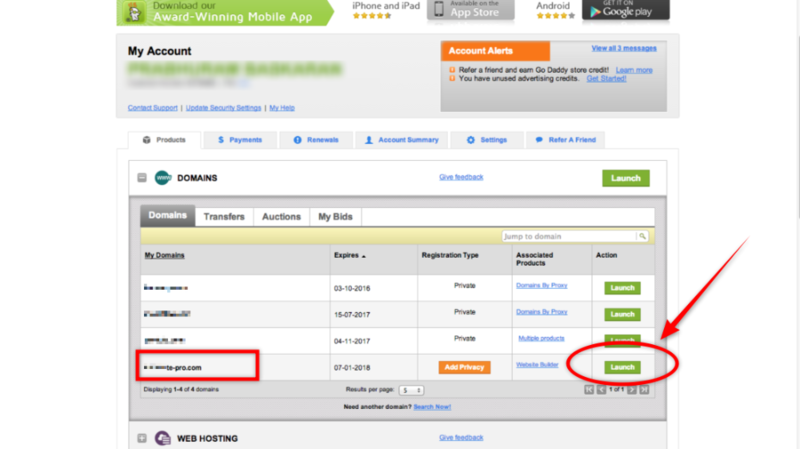 After which you can access your WebsitePro project from this Domain.